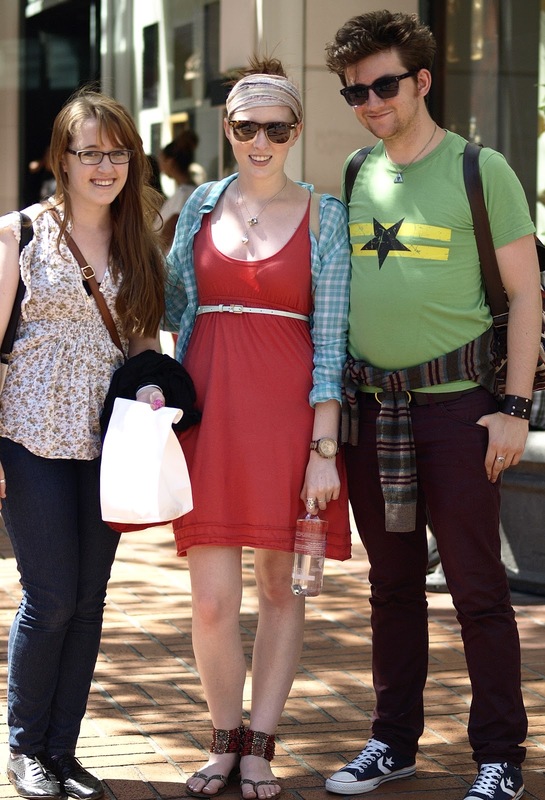 I love the style of Portland, Oregon. It is very casual cool. One person described it as "hipster". It is a comfortable (yet put together) style of dressing. With all of the coolness that Portland has going on, I was a little apprehensive to approach people on the street. However, everyone was very nice and seemed to enjoy talking about their city. Jonathan (pictured above) described Portland as having a "small town vibe", which I thought was very fitting. This girl looked ethereal walking down the street in her white lace dress. I found out that she was on the way to her high school reunion. I'm sure she made a great impression on her former classmates.